Looking for reliable fence work in your area? Bare’s Fence Company, LLC has been the number one local, full-service expert fence contractor in Jackson County, WV since 1990. From installation to repair and everything in between, we’re here to take care of any and all of your fencing needs! If you’re in need of fast and reliable repairs to your fence or fence installation in Jackson County, in Ravenswood, you’ve come to the right place! 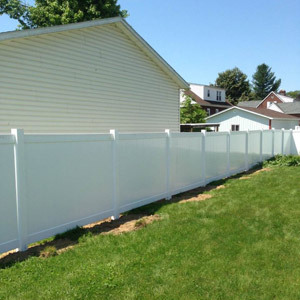 Bare’s Fence Company, LLC has been serving all of the fencing needs of people in Jackson County, WV for the last 25 years, and we’re committed to providing the highest quality fence services in the area. We offer fence installation and fence contracting services to install, maintain and repair your wood and chain link fences, no matter if you need it in a residential, commercial or industrial setting. We also offer fence removal and will give you a free estimate for any service before you decide to choose us for your fencing needs. 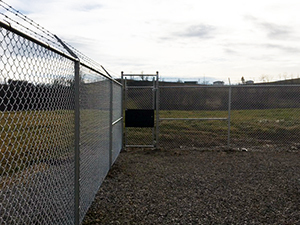 We are OSHA and HAZMAT certified in order to provide superior fencing services. We service all of Jackson County, WV, including all surrounding towns and cities. We have been serving the fencing needs of people in the area since 1990. We install and repair both wood and chain link fences. We offer our services to residential, commercial and industrial customers. We proudly offer fence contracting services including fence installation, fence repairs, and any other fence service you may need!